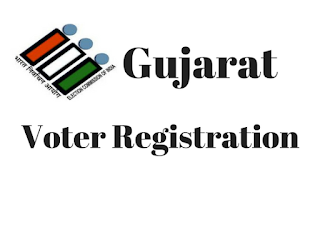 CEO Gujarat Voter ID Card Registration Form - 6 apply online The Chief Electoral officer (CEO) Gujarat has Providing online Services for Citizens. They can Provide all Voter Card related Services like E-Registration, New Registration ( Form-6 ), Search Your Name in the Voter's List , Know Your Application Status, Gujarat Electoral Rolls 2017 - PDF Version ( Voter list ) all Services is necessary for Citizens. People Can Easily enroll their name in Electoral Rolls, through this portal.in this article we showing How to apply Voter ID Card in Gujarat, People can follow below instruction for apply Gujarat Voter Id Card online. Eligibility : All persons who are fulfilling the conditions mentioned below are eligible to be registered as electors. Click on ' Apply online for registration of new voter/due to shifting from AC" Application for Inclusion of Name in Electoral Roll for First time Voter OR on Shifting from One Constituency to Another Constituency. Finally Click on 'Submit' Button. 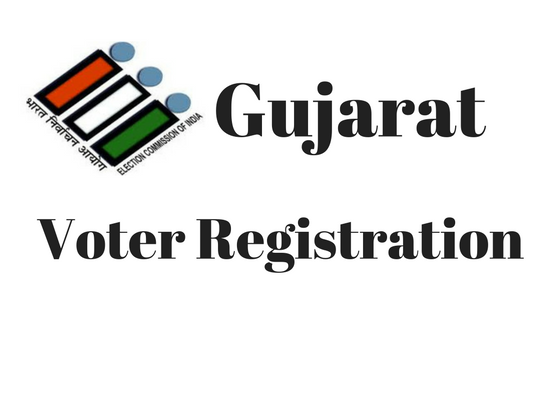 How to check Gujarat Voter online Voter Registration status ? You can also Check your Gujarat Voter Registration Status online, follow the below instructions for Know your application status online. Click on 'Track Status' Button. Get your Gujarat Voter Registration Status online. How to Gujarat Voter id card download online ? People can get Voter's photo Identity Card (EPIC) or Voter Id card through BLO or Download Specialty is available in Matdar Sahayata Kendra. How to download Gujarat Voter list (slip ) online ?